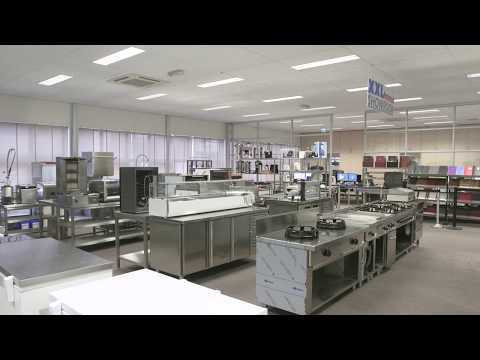 Mobile Containing clearing trolleys are used within organizations that need flexible mobile units from time to time to move service to and from the kitchen. What strikes equal to the clearing trolleys is the large wheels and sturdy frame within which much space is available. The ridge on the top and polished stainless steel finish of the platforms provide a low maintenance and highly functional mobile Clearing trolley. At XXLhoreca you can choose from the smaller or big Mobile Containing Clearing trolley for baskets, trays, cutlery, plates and dishes. This spacious mobile Clearing trolley also has a separate compartment for a dustbin. 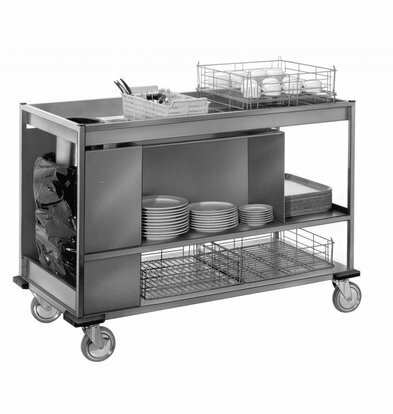 Also on this XXLhoreca Clearing trolley offers full supplier warranty of 1 year.